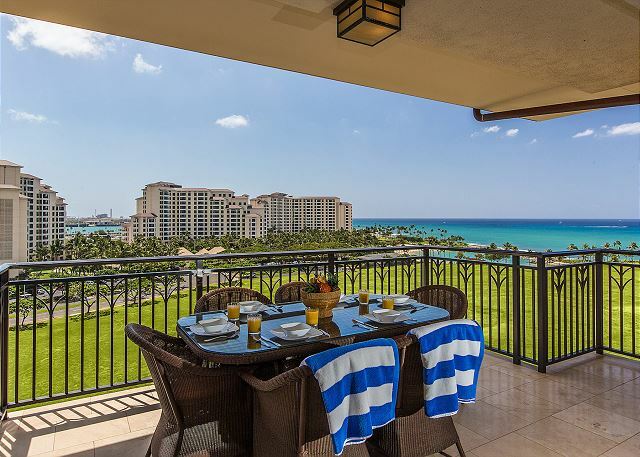 LOCATION: This Villa is located on the 9th floor of the Ocean Tower at the Beach Villas at Ko Olina right on Lagoon 2. 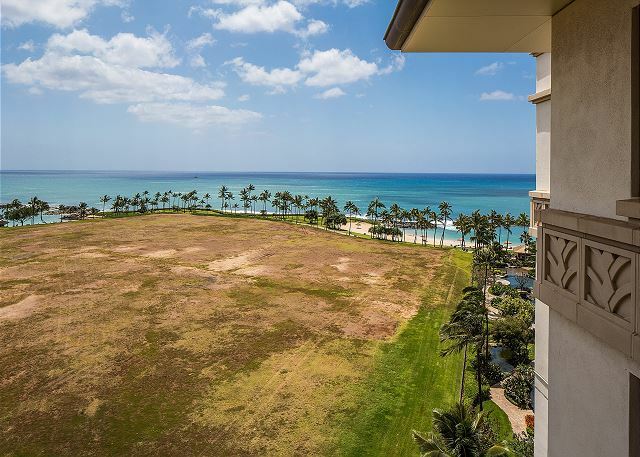 This 2 BR, 2 BA luxury villa on the 9th floor of the Ocean Tower at the Ko Olina Beach Villas is conveniently located just 20 miles from Honolulu International Airport on the beautiful southwestern shores of Oahu. The four pristine beaches and lagoons are just steps away from your door and offer a safe and secluded setting for guests young and old alike to swim, snorkel, sunbathe, build sand castles, walk, run or nap. 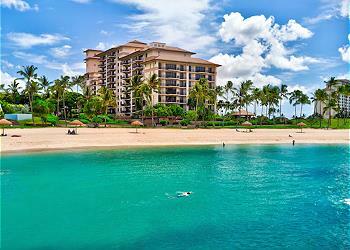 The possibilities are truly endless when it comes to fun in the sun in Ko Olina! Fortunately, the Ko Olina Resort is NOT in some remote area in the middle of nowhere. 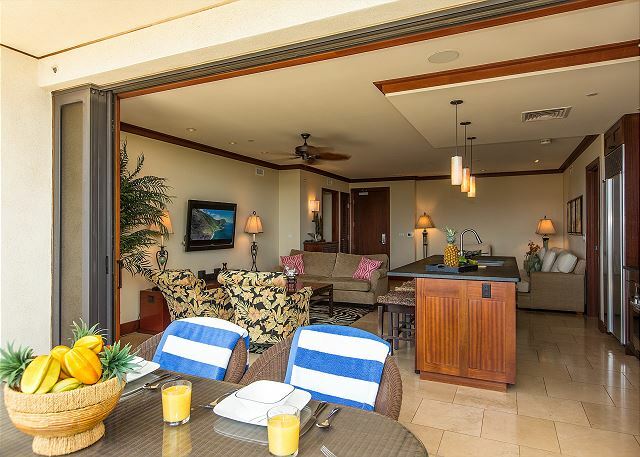 You can have the best of both worlds by staying in a luxurious and private oceanfront resort setting while still enjoying convenient access to stores, restaurants and local entertainment options. 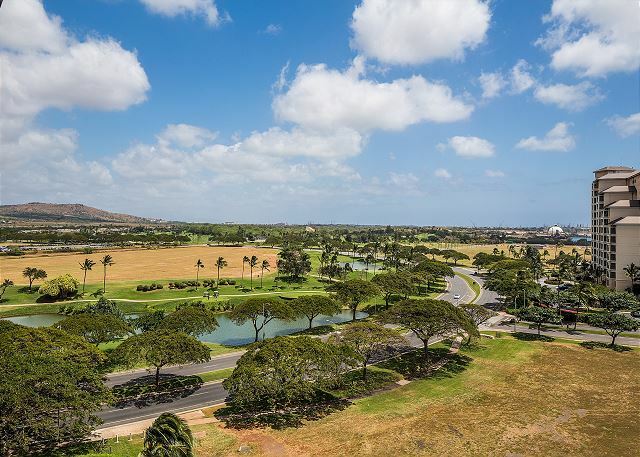 There are a wide variety of shopping, dining and entertainment options just minutes away within the Ko Olina Resort community or down the street in Kapolei, Oahu's 'Second City'! This property features ocean views and beautiful golf course views from the large lanai as well as from each of the bedrooms. 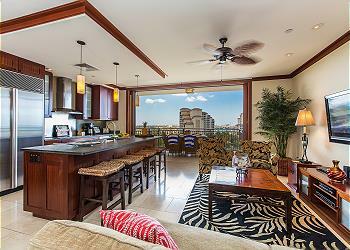 Walk to the pools, beaches or BBQ grills in minutes! 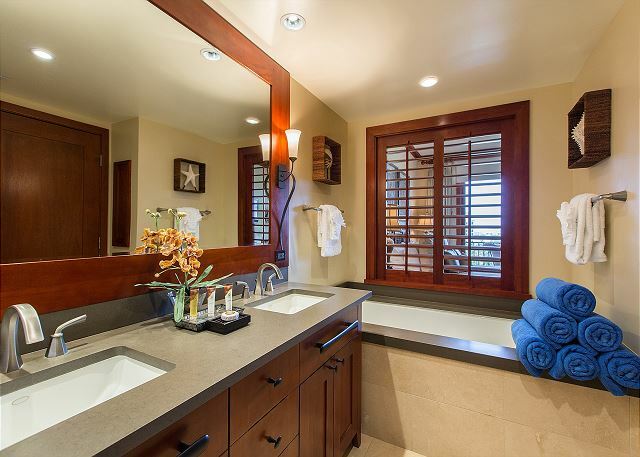 Featuring a private Master Suite with king bed, flat screen TV, lanai access, separate A/C thermostat, his/hers sinks and a separate tub and shower. The 2nd bedroom has two twin beds (can be converted into a king bed, if requested), flat screen TV, large windows and is adjacent to a full bathroom. The living area features a Queen-size sleeper sofa complete with linens so that up to six guests can comfortable sleep in the villa. Simply scroll down to view the extensive list of amenities included with this vacation property. Some of the amenities include FREE high-speed WiFi, flat screen TVs in every room, cable TV, stainless steel appliances, baby/toddler amenities (fee), beach towels and other beach amenities. PARKING:This villa has one (1) assigned parking stall and overflow parking is available if needed for a second or oversized vehicle. 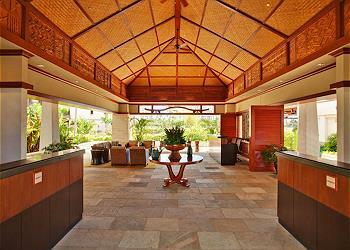 *This property is privately owned and is professionally managed by Love Hawaii Villas. A/C Notes: This unit has two Central AC systems with two separate thermostats. *Additional taxes and fees will be applied to the rental rate. Enter dates and refresh pricing to review total costs. We stayed here for a week and the condo is absolutely beautiful. We had breakfast, lunch and dinner on the balcony overlooking the ocean. The condo came equipped with lots of beach and pool gear, which was perfect for our family. 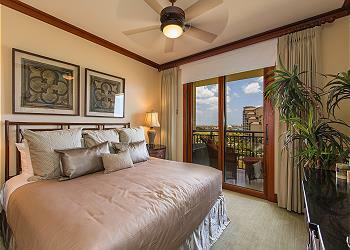 We have younger kids and were considering staying at the Aulani. Boy am I glad we didn't! 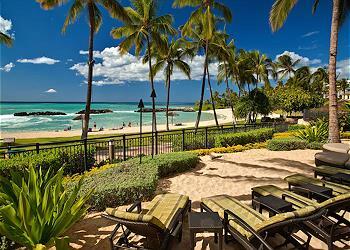 The pools at the condo were perfect and never crowded like the Aulani hotel. Our 10 month old absolutely loved the sand pool! 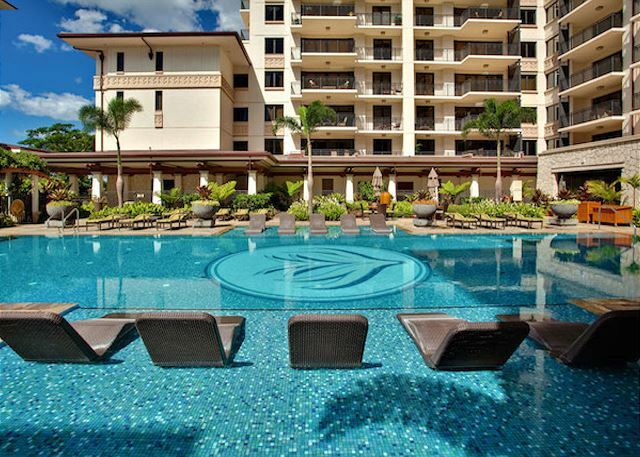 For those of you without children coming along, the condos also have a beautiful adult only pool and great fitness center. The only criticism I would provide is that you are not allowed to bring beach umbrellas onto the beach. However, that did not negatively impact our stay. Overall we had a truly amazing time! Highly recommend and will stay here again!! Stayed here 8 nights, 9 days! We were here for our honeymoon and enjoyed your home to the fullest!! Your home is BEAUTIFUL! Thank you! Thank you for giving me the chance to have wonderful memories with my family. For this I'm truly greatful. Thanks for such a beautiful place. Thank you so much for allowing us to create beautiful memories, that we'll cherish forever, at this beautiful home. We had the best time. This property was very relaxing and super nice. Couldn't have had a better stay anywhere else. Pool, beach, location, staff - all were perfect! The view from the condo was stunning. It was clean and well stocked with items you may need. 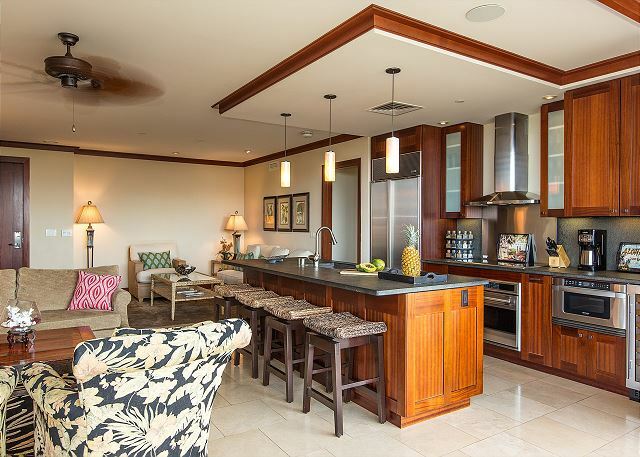 They had toys to take to the beach and lots of items in the kitchen not normally provided in a condo rental. Several restaurants within walking distance. We had one slight issue with the washing machine, but it was corrected promptly. The staff was always pleasant and helpful. 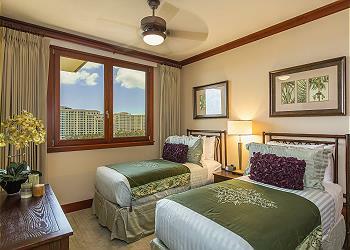 I would definitely rent from Love Hawaii again and would love to stay at Ko Olina again. 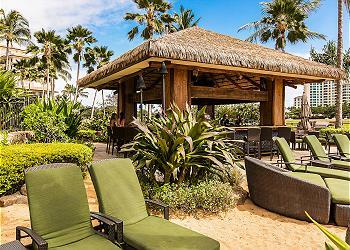 We spent 5 weeks here and would definitely do it again.KoOlina is the perfect spot on Oahu. 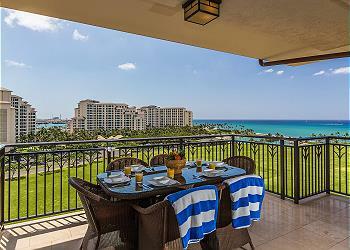 Great restaurants, golf, and beaches, what more can you ask for? 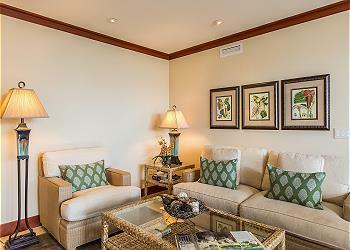 We had a wonderful and relaxing time staying in our condo at Ko Olina Beach Villas. 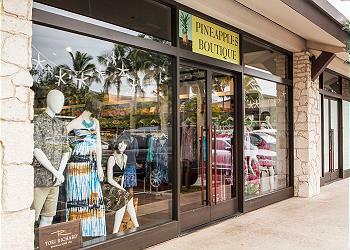 The staff was AMAZING and the location is gorgeous. Beach Villas is a great resort for families with young kids as you have everything you need there - amazing pools, access to a beautiful lagoon and restaurants near by. Awesome time with wife and daughter.Went to Waikiki one day just 'cause it's there. Spent the rest of the week loving Ko'Olina. We were not disappointed with the apartment, lived up to our expectations, great views from balcony,clean & tidy.But had bad experience with emergency call to abandon building asap at 10 am, so did so down 9 flights, hearts pounding, only to be informed- false alarm!! happens often apparently, staff were not apologetic, we were not happy at all with the situation.Also Shuttle service has been cancelled, nearest shops a good 20mins walk away with no car.Beautiful pools & landscaping, especially the hundreds of very large koi fish, amazing.Sunset drinks around the bar a must, wonderfully relaxing. This was the easiest rental I've ever done. In fact, I made it 2 days before arriving. The company was easy to work with. We would definitely go again! 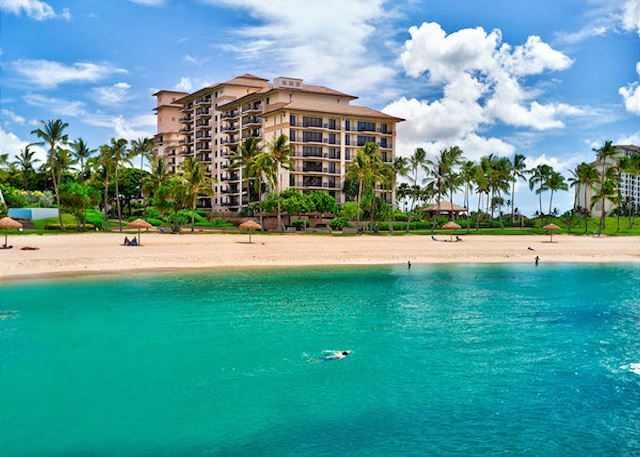 Ko Olina® and Ko Olina Resort & Marina® are registered trademarks and service marks owned by Ko Olina Intangibles, LLC.